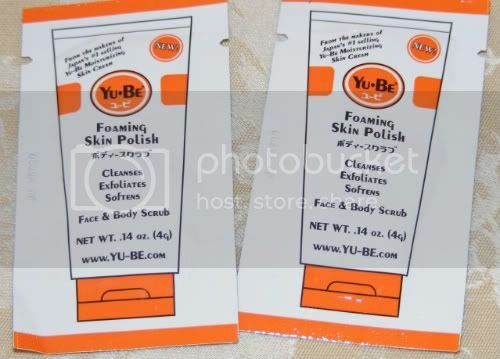 Invented by Japanese pharmacist Yoshikiyo Nowatari in 1957, Yu-Be (pronounced "YOO-BEE") is a Glycerin-based moisturizing cream enriched with Vitamin E, Vitamin B2 and Camphor. 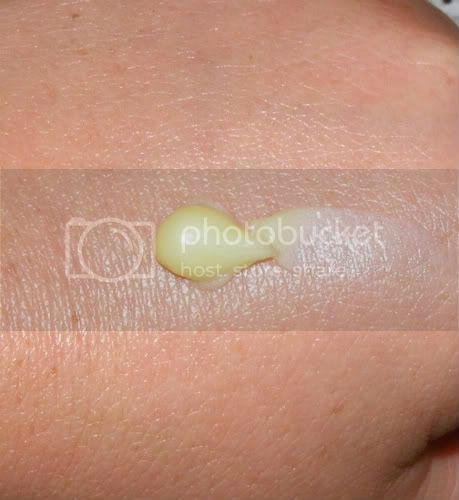 It's the uniquely high Glycerin content and absorbability, achieved through a special manufacturing process in Japan, which makes Yu-Be so effective on severe dry skin and truly sets it apart from other creams. This is my first time trying Yu-Be! Glycerin - Natural "Humectant" attracts and retains moisture in the skin, making it softer. Vitamin E - Natural anti-oxidant and skin protector. 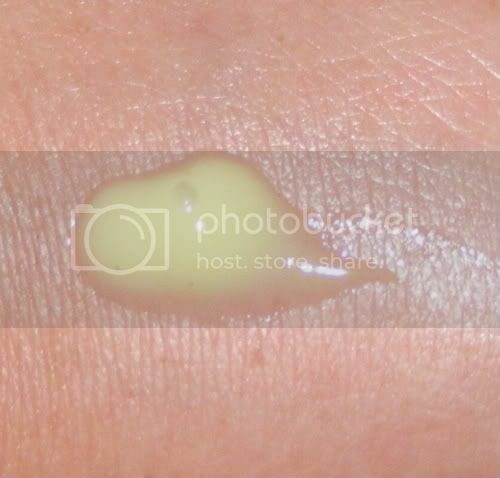 Vitamin B2 - Helps to smooth rough or damaged skin - also gives Yu-Be it's yellow color. Camphor - Helps soothe minor skin irritations - mild scent fades in minutes leaving skin feeling healthy. * Helps heal split cuticles and smooth rough, dry skin on hands, elbows, knees and feet. * Helps protect and moisturize skin exposed to cold, wind, water and sun. * Non-greasy formula absorbs quickly and locks in for hours. Good for all day or all night. This feels sooooo soothing on my hands! They have been so dry and cracked, this stuff DEFINITELY does the job! NEW ITEM!!! 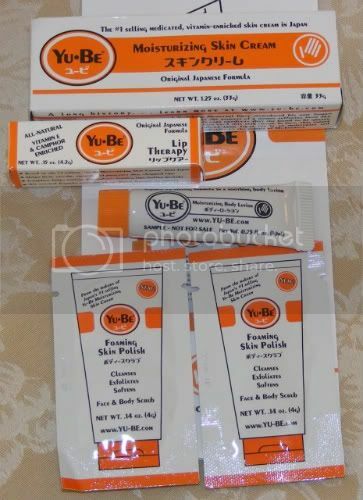 Yu-Be Lip Therapy is an ALL-NATURAL lip balm (stick) manufactured in the USA. 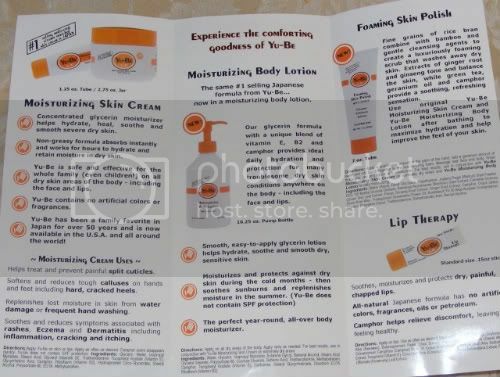 The ingredients are based on the original 50 year old Japanese Yu-Be formula and includes Vitamin E and camphor. This product is highly effective for moisturizing, healing and soothing dry chapped lips. Please note that this product does not contain SPF protection. I have been using this religiously, I absolutely LOVE this lip balm! 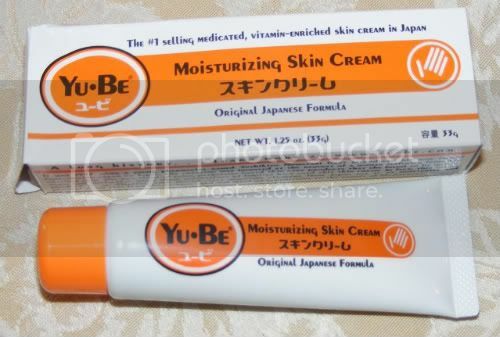 The same #1 selling Japanese formula from Yu-Be... now in a moisturizing body lotion! Our glycerin formula with a unique blend of vitamin E, B2 and camphor provides ideal daily hydration and protection for many troublesome dry skin conditions. The perfect year-round, all-over body moisturizer. Already used up my sample, now I am ready to go back & buy the full size! Prepare your skin for moisturizing! I've always wanted to try this line...but never got around it. Tnx so much for the info hun...Does the lotion sink into your skin? Or does it feel greasy at all? I'm actually not a fan of this product... It does not sink into my skin and seems to leave a film on my skin. Glad to know it worked for you! I've been wanting to try this out. The lotion looks promising for the hands during the cold cry season. I think they have it at Sephora?